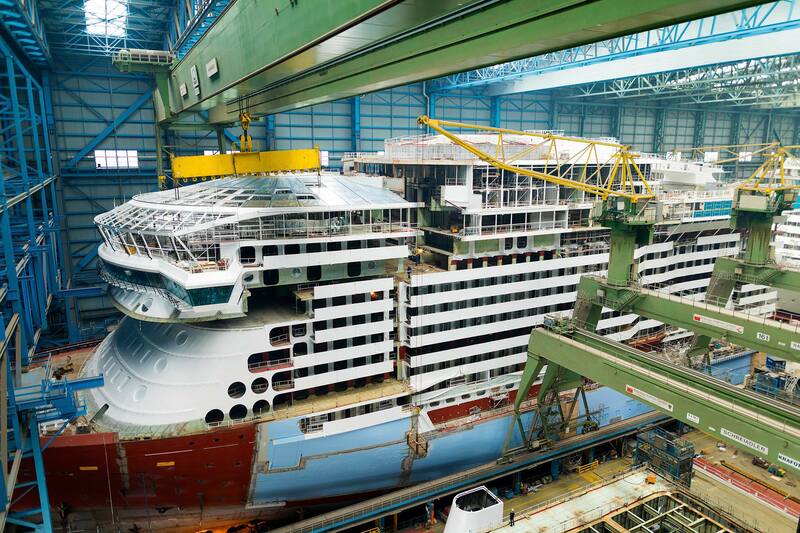 The shipyard that is building Royal Caribbean's Spectrum of the Seas released a batch of photos to show off the progress being made on Royal Caribbean's first Quantum Ultra Class cruise ship. 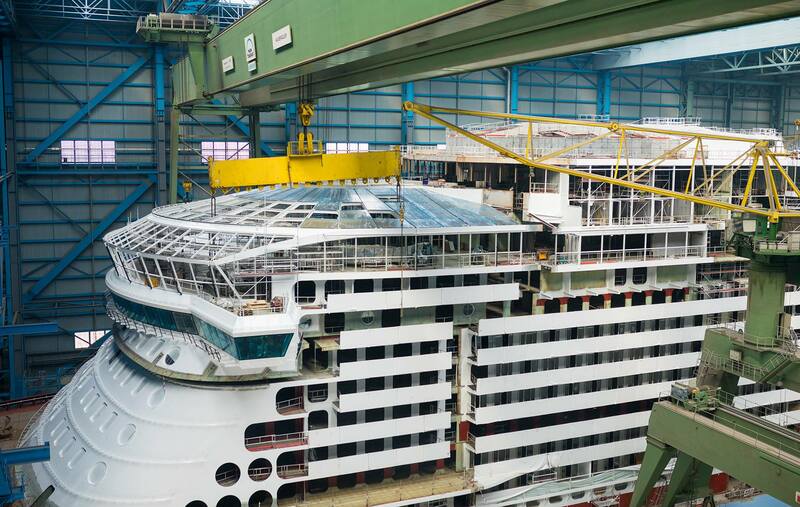 The photos were posted to the shipyard's Facebook page, and shows off that the bridge block was added to Spectrum of the Seas, weighing 750 tons. 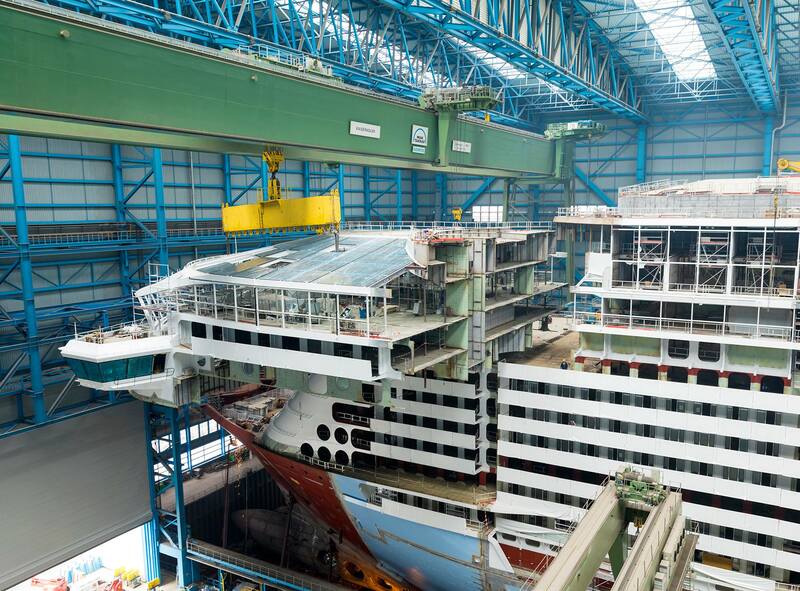 In fact, the bridge block was barely light enough for the largest crane in Meyer Werft's yard to handle (the crane can handle up to 800 tons). 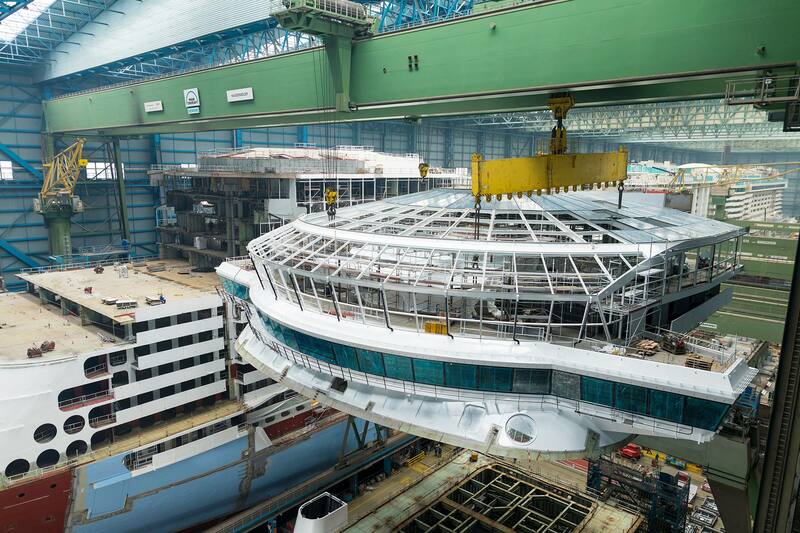 Spectrum of the Seas will be the first in the Quantum Ultra class of ships, and will boast the cruise line’s first private enclave for suite guests, new stateroom categories, innovative dining concepts, and stunning features and experiences – many of which have never before been seen at sea. Spectrum will be the largest and most expensive ship in Asia when she sails from Shanghai starting in June 2019.